With your permission, I am uploading the photos of what you've sent me. Thank you for the invite but sorry... gotta rush off earlier. I'll make sure to stop by ya place for some HT therapy when am near the area. Or maybe jio some friends over ya place chit chat enjoy show next time! 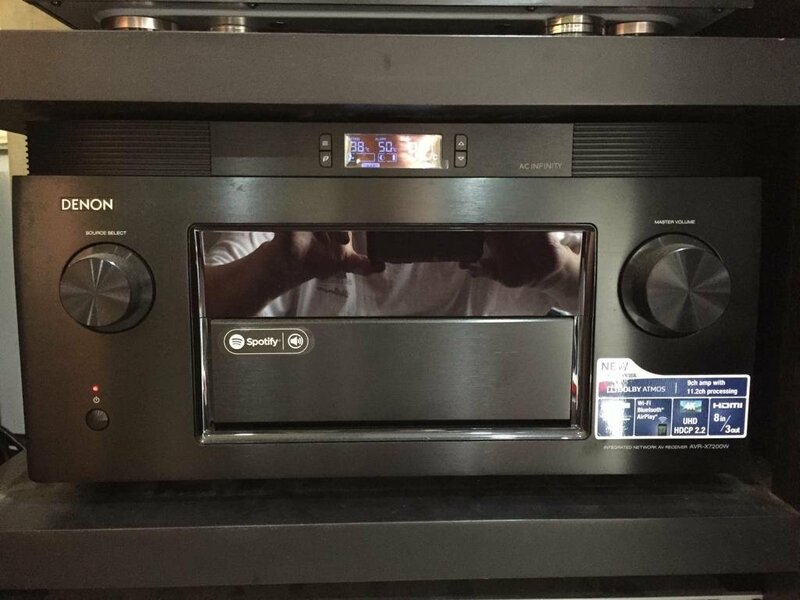 Can see there is very limited allowance space on top of this solid AVR @ Cabinet, therefore there is very limited ventilation. 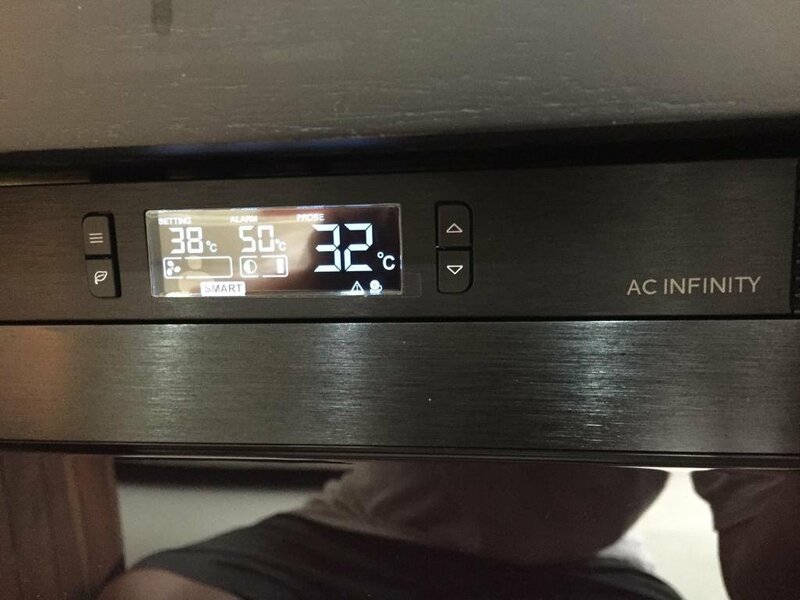 This AC infinity cooler will definitely come in time to help the ventilate AVR with a cool always operation. I have tested it for the past 5 hrs with my AVR Powered On and jus finished watching Bohemian Rhapsody in 4K with all my HT speakers at full blast and subsequently switching to TV using my AVR powering my full HT set-up, as well. Currently, still @ ON watching The Bourne Ultimatum on TV. Results after more than 5 hrs of non-stop operation;- My AVR temp is still holding steady @ 37 deg with the Temp Setting still @ 38 deg and the Fan Speed jus below Max @ 5/6 on Smart Mode. Never has it once breached the threshold of 38 deg temp setting during the more than 5 hrs of operation and my AVR is still running cool to my touch. No regrets getting this and with the decision to remove the original feets, with winwinc81's help, and jus adding thin rubber pads underneath, it really gets the job done well and movie watching will be a very cool experience for me now. Watching movies for long hours without the need to worry of heat issue, what's more, it's pleasing to the eyes, looks classy too! Smart mode makes it more eco friendly by spinning the fan only when necessary. Thank you for taking the effort to do stress test. Bought this from Ovation United and have it delivered on March 25th night. A perfect placing on top of my Marantz 7012. Tried fan speed setting of this T10 at no. 4 and where I'm sitting approx. 8ft away I'm not able to hear the fan noise while watching a movie. Only exception when during the quieter moment scene (in an air-conditioned room) you are able to hear a little humming noise which to me is tolerable. Easy to set the settings. Overall I'm happy to purchase this product. Cool! Have pics to share? Me too bought a T10 to test out during the lazada sale few days back...Damn this thing is heavy as a cooling unit. well built and easy to use. this thing is a hot air suxker for sure. 2 hrs of movie watching, my denon 8500 wont past 36 degree at 60 vol, with fan speed set at 4. For a cooling unit, its asking price is on the high side but its a small price to pay to get rid of electronic's biggest enemy --> Heat! yes it is. You can try the SMART function and set it at 38 degree. It will progressively increase or decrease due to temp change. Is this thing effective when placed on top of a power amp such as Bryston 4BSST2 or Emotiva 5 channel amp? Yes. I'm using it with emotiva power amp, just that the vents are a little back on the emotiva power amp, you may need to shift the fan back a little. You can drop by my place to check it out.